After the little ones were done, the bigger kids took the stage. Here are some shots from that. My three (DD#3, DS#1 and DS#2) were all in the manger scene at the end of the play. 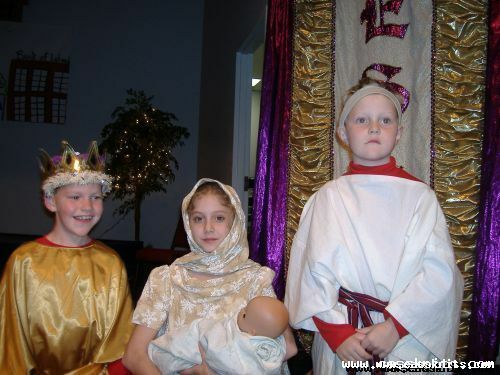 Here are some photos of them, with rest of the manger scene players. And here’s a shot that scares me to death. It’s DD#3, looking entirely too grown up, along with her brothers.